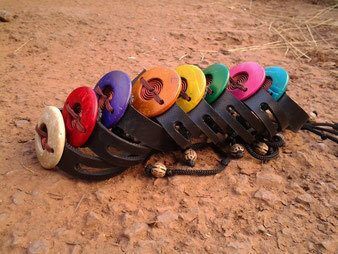 During Katrins stay in Uganda she met a very talented, young Ugandan artist who creates jewelry out of car tires. Katrin was so excited about this kind of jewelry that we have decided to support this young artist by selling his crafts and gather money for MUKISA by purchasing them. 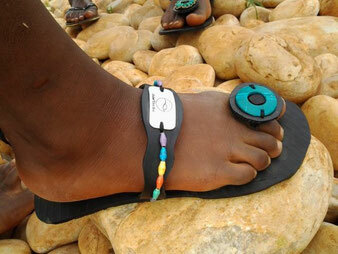 This artist designs bracelets, sandals and bracelets out of care tyres. Some of them we have already bought and you can buy them from us directly. We can also purchase your jewelry according to your individual wishes, but be aware that this will have a longer lead time to receive them (up to 6 months). Details you could find below and examples in our picture galary on our German Page "Kauf von ugandischem Schmuck". For bracelets and wristbands you could have a look into it suddenly if you find your choice as we have bought many upfront so that you could avoid long waiting time for it and by them directly. These bracelets you could order with closure straps or buttons. Generally we recommend to us closure straps for bracelets for kids as you could adapt them easily to the wrist size of the kid. For adults we recommend the buttons. Standard sizes we have already in Switzerland are 19 and 20 cm length. Wristbands are bigger and are designed with the general bracelet and different material under the bracelet. As these wristbands need to fit your arm correctly we need to know your circumference of your wrist. 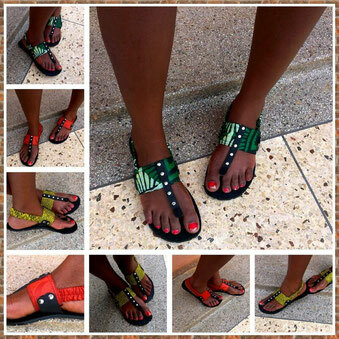 You could order these sandals made out of care tires from us by letting us know your details and individual wishes. These flip flops are the classical flip flops. You could order them from us by providing us your details and individual design wishes. Here you could be free in your wishes, e.g. 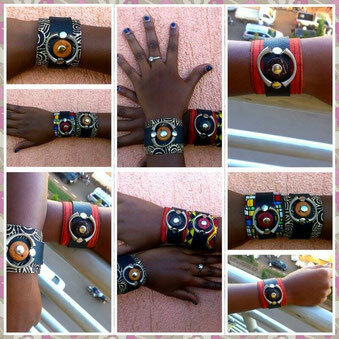 round colored stones, wrists, patterned wrists, etc. 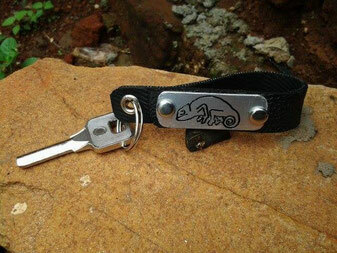 Would you like to have a nice gadget on your key and find it easier in your bag then you will like these key holders. More examples and pictures you will find in our picture gallery on our German page "Kauf von ugandischem Schmuck".